“If you build it, he will come.” Ok we aren’t exactly talking about baseball here, but the phrase was too good to not use. 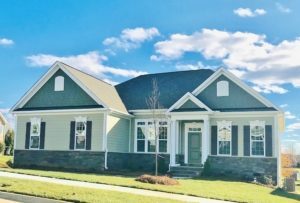 Keeping inventory homes available in all of our communities has been one of our priorities over the last year, and we aren’t letting up any time soon! 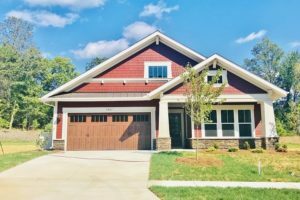 So with that being said, here is a quick run down of all of the move-in ready homes that we have available. 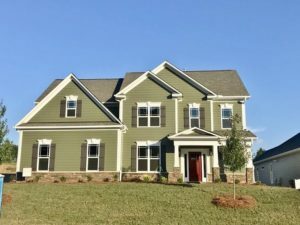 In our Mooresville community we currently have 3 move-in ready homes! 2 are single level plans and the other is a master down plan. The Dunhill on homesite 92 is located in Ashlyn Creek proper. 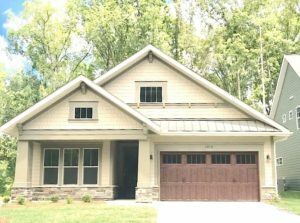 This single level plan features 3 bedrooms, 2.5 bathrooms, a covered back porch, and is 2,476 square feet. The Wescott on homesite 8 is located in Brookside at Ashlyn Creek. This single level home is 4 sides brick with 3 bedrooms, 2.5 bathrooms, and is 2,616 square feet. 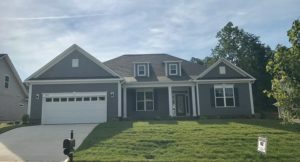 The Newport on homesite 20 is located in Brookside at Ashlyn Creek. 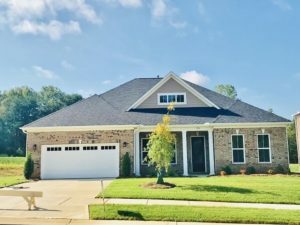 The master bedroom is located on the main level of this 4 sides brick home.There are 3 additional bedrooms upstairs and a total of 3.5 bathrooms. 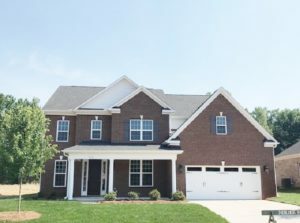 In our Concord Community we currently have 3 Inventory homes available, and 2 of those homes are move-in ready today! The Tremont is on homesite 77 of Bedford Farms. This home features 4 bedrooms, 3 bathrooms, and is 2,777 square feet. The Avery is on homesite 64. This single level home has 3 bedrooms, 2.5 bathrooms, a covered porch, and is 2,064 square feet. Woodbridge is our Patio Homes community located in Concord. 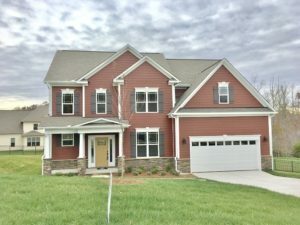 We currently have 4 Inventory homes, 3 of which are move-in ready now! 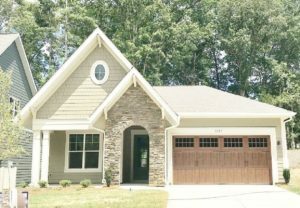 The Millbrook on homesite 3 is one of our single level homes. This home has 3 bedrooms, 2 bathrooms, and is 1,956 square feet. The Millbrook on homesite 31. The Linden on homesite 5 is a single level home with 3 bedrooms, 2 bathrooms, and is 1,949 square feet. The Gates at Waterside Crossing located in Stanley has 3 move-in ready homes. 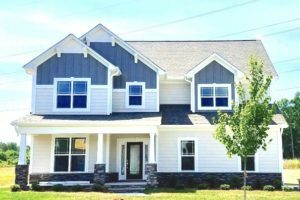 The Tremont on homesite 471 is a 4 bedroom, 3 bathroom home with the master on the second level. 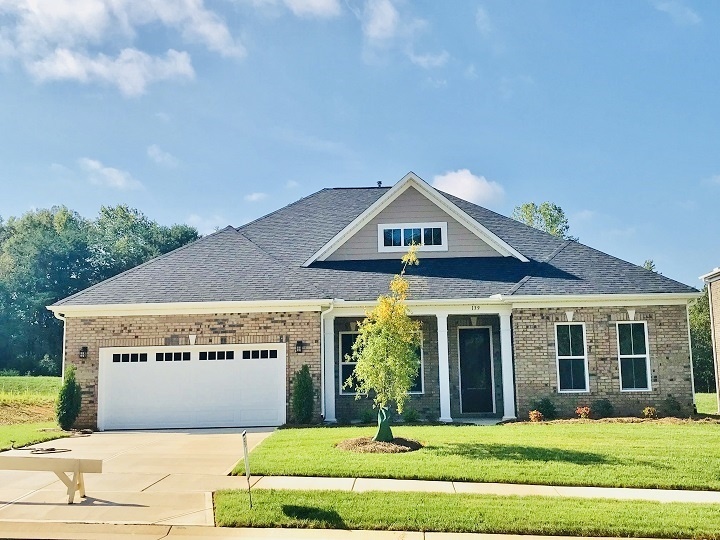 The Wescott on homesite 481 is a single level home with 3 bedrooms, 2.5 bathrooms, and 2,553 square feet. 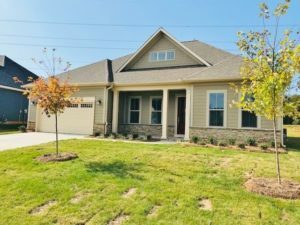 The Hayworth on homesite 479 is a master down home with 4 bedrooms, 2.5 bathrooms, and 2,650 square feet. To see a complete list of all of the available homes in our communities, click here.